Today on the Packet Pushers Weekly Show we talk about control. Imagine being able to control every flow in your data center in a granular way, and not just based on the best path your routing protocol decides or the random hashing your ECMP comes up with. How do you get beyond the forwarding we’re used to? By manipulating flows with modern tools. One such tool is IPv6 segment routing (SRv6). 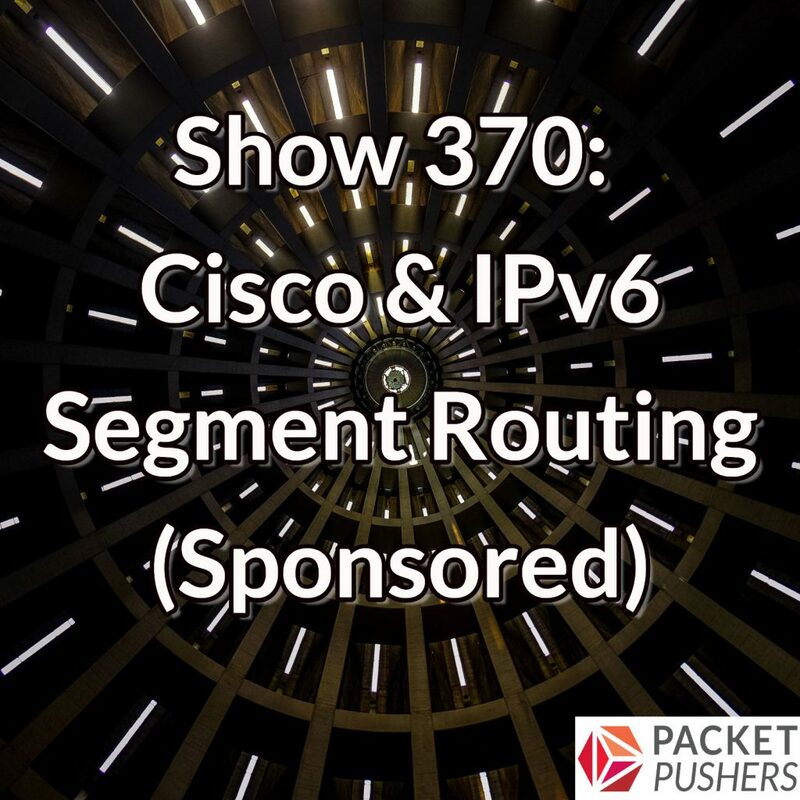 Cisco, along with network architects from Bell Canada and LinkedIn, discuss just how IPv6 Segment Routing makes the network programmable in this sponsored episode. Clarence Filsfils, a Fellow at Cisco, is going to open our discussion. We’re also joined by Daniel Voyer, a Network Technical Fellow at Bell Canada; and Shawn Zandi, Principal Infrastructure Architect at LinkedIn. mixing reachability and policy within the same layer? control plane for context distribution(not BGP :-)) and how context is represented? We absolutely need a way for a user/application to communicate their intent, I’d really question how much of it should go into data plane. NSH and Geneve vs/with SRv6 discussion would have been useful.